Key Difference: Disinfection refers to the process that kills most of the disease producing microorganisms. On the other hand, sterilization refers to the process that is used to render a product free from any viable microorganisms. 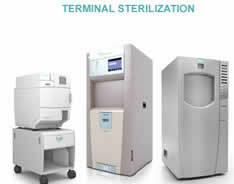 Disinfection and sterilization are both processes that are used to eliminate the microorganisms that can cause diseases. However, disinfection should only be used in a scenario where sterilization is not possible as sterilization guarantees removal of pathogens. Surface of fragile items like impressions are generally disinfected rather than sterilized. Disinfection is the process that destroys the microorganisms, especially the ones that cause disease. However, it eliminates only a defined scope of microorganisms. The process of Disinfection is also used for the inhibition of microorganisms's growth. However, inhibiting the growth of microbes is less absolute. An item is known to be a sterile when it is completely free from the measurable levels of microorganisms. Sterilization is generally achieved by maintaining a high-pressure environment and/or high temperatures over a very long time. It refers to the process that deactivates the disease producing microorganisms. It is a process that destroys all microbial life including highly resistant bacterial endospores. Intermediate level disinfectants include phenolic and iodophor compounds and low level disinfectants include quaternary ammonium compounds. Can be removed or killed. May use physical or chemical methods. Combination of heat, chemicals, irradiation, high pressure and filtration. For example, heat sensitive semi critical patient care items can be pasteurized for about 50 minutes. For example, heat tolerant critical instruments can be sterilized by steaming (about 40 minutes) and dry heat (about 1 to 6 hrs); depending upon the temperatures.